To understand future food security, it is critical to develop realistic crop models with reliable sensitivity to environmental factors. We find that particulate matter (PM) causes a significant, but smaller, enhancement for global wheat and rice production than estimated without nutrient and physiological limitations imposed by a crop model. 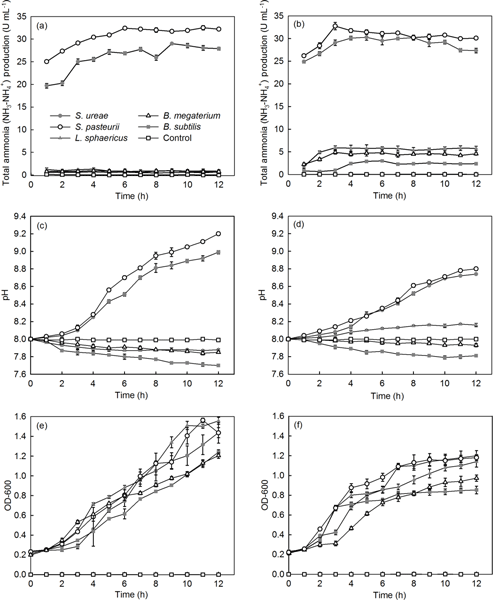 In contrast, maize grows near its physiological maximum, with little enhancement from PM. 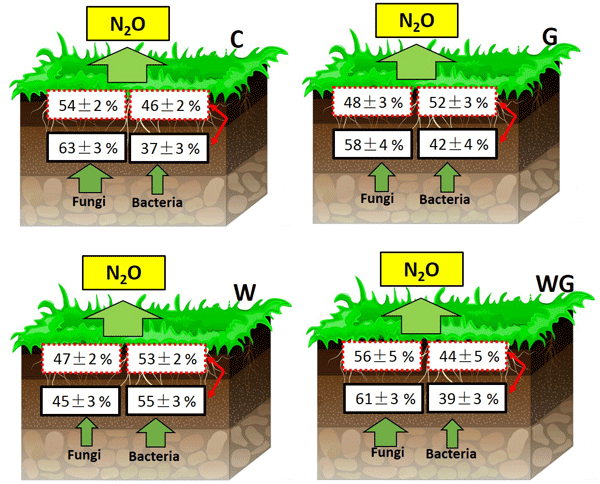 Nitrogen deposition leads to a small increase in crop production. 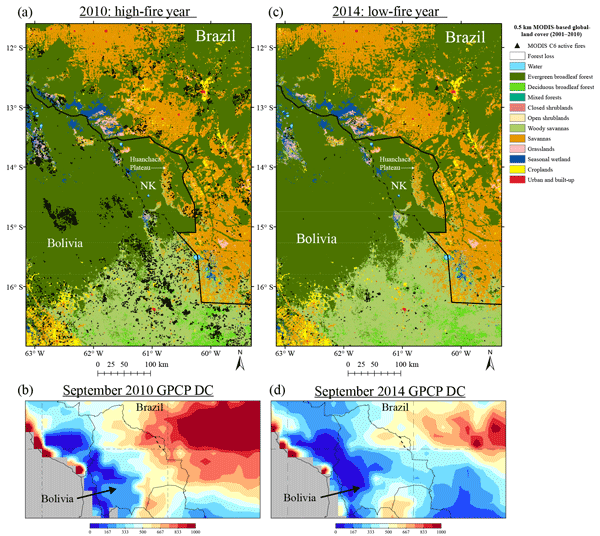 A variety of data were explored to better understand relationships among climate, fire, smoke emissions, and human land use in lowland Bolivia. Paleosedimentary work and modern fire records have linked drought to fire in the southern Amazon. From 2000 to 2015, our results indicate drought was the dominant control on wildfire in lowland Bolivia and in Noel Kempff Mercado National Park. Note that fire was most common in the Cerrado and seasonally inundated wetland biomes. N2 fixation is recognized as one of the major sources of nitrogen in the ocean. Thus, N2 fixation sustains a significant part of the primary production (PP) by supplying the most common limiting nutrient for phytoplankton growth. From numerical simulations, the local maximums of Trichodesmium biomass in the Pacific are found around islands, explained by the iron fluxes from island sediments. We assessed that 15 % of the PP may be due to Trichodesmium in the low-nutrient, low-chlorophyll areas. 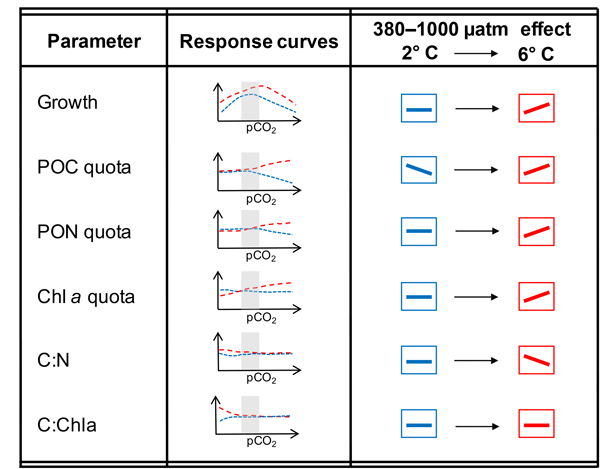 Responses of the Arctic microalgae Micromonas pusilla to different pCO2 levels were investigated at two temperatures. 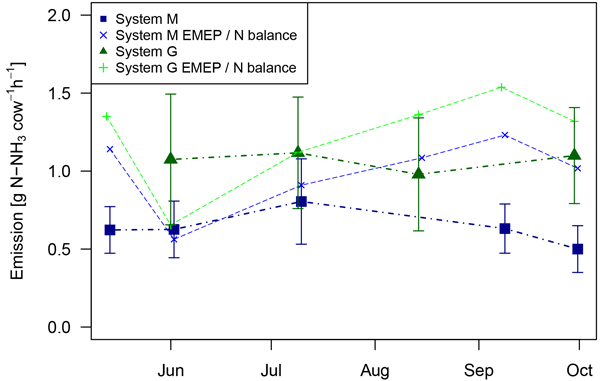 We observed that warming and ocean acidification (OA) synergistically increased growth rates. Furthermore, elevated temperature shifted the pCO2 optimum of biomass production to higher levels. This seem to be caused by more efficient photosynthesis under warmer and more acidic conditions. Our findings explain the dominance of picoeukaryotes frequently observed in OA experiments. Materials, like soils or cements, can require repair. This study used a new bacterium (Sporosarcina ureae) in a repair method called "microbially induced carbonate precipitation" (MICP). 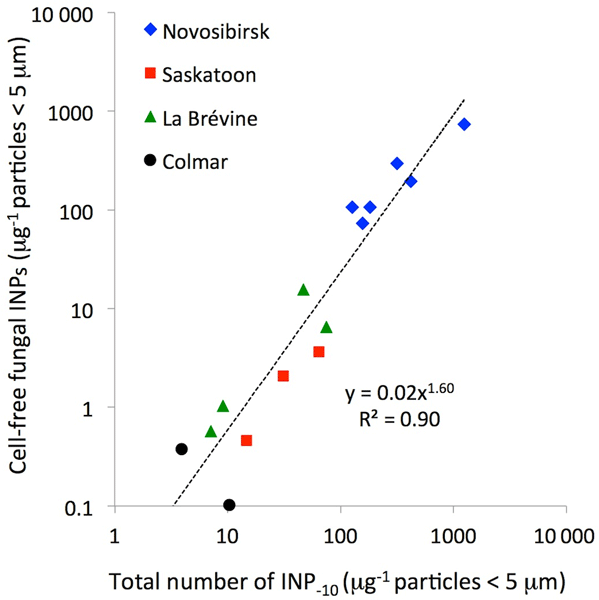 In three trials, benefits were shown: S. ureae could make a model sandy soil much stronger by MICP, in fact better than a lot of other bacteria. However, MICP-treated samples got weaker in three trials of acid rain. In conclusion, S. ureae in MICP repair shows promise when used in appropriate climates. 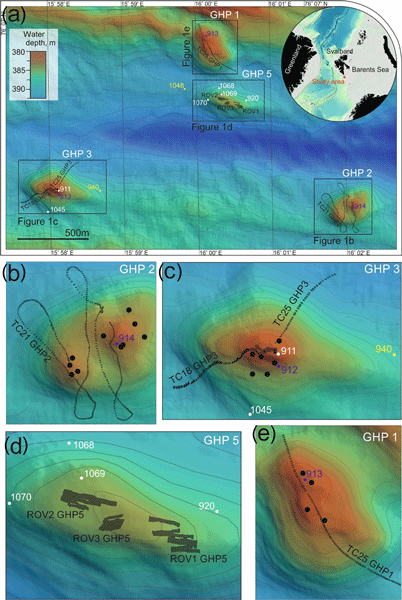 This paper presents high-resolution temperature observations and turbulence estimates from a hilly abyssal "plain" in Pacific nodule areas. Although turbulence levels are considerably lower than over steep topography, a bottom boundary layer, if existent, varies in height over scales far exceeding that of an Ekman layer. This variation is associated with internal wave motions affecting the near-bottom turbulence and thus probably the associated sediment reworking. 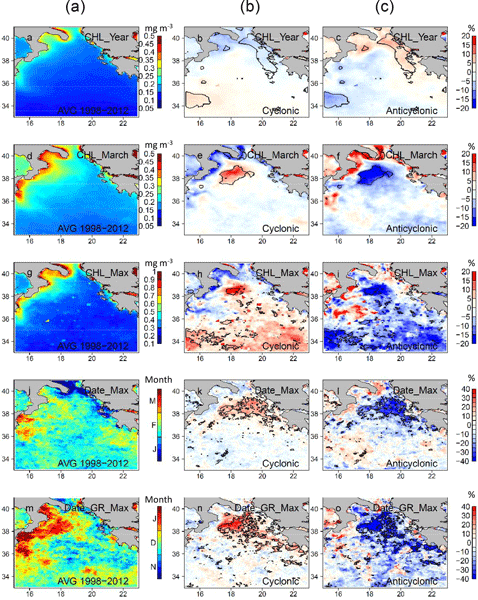 The north Ionian circulation, which is characterized by a decadal alternation of cyclonic and anticyclonic regime, affects phytoplankton dynamics and surface chlorophyll a. 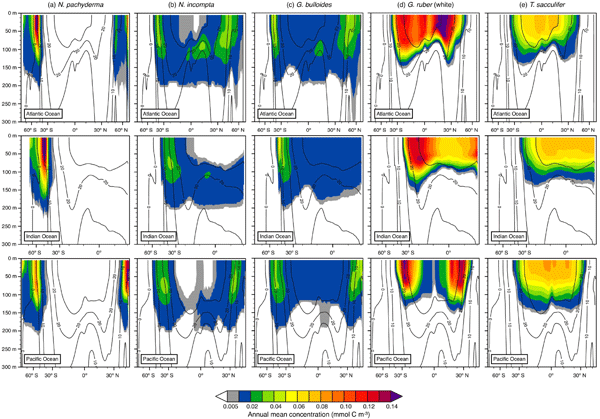 From satellite ocean color data, the cyclonic and anticyclonic regimes are compared and two chlorophyll a dynamics are observed: when circulation is anticyclonic, bloom initiation is in December and chlorophyll is low in March, whereas during the cyclonic regime, a late chlorophyll peak is commonly observed in March. 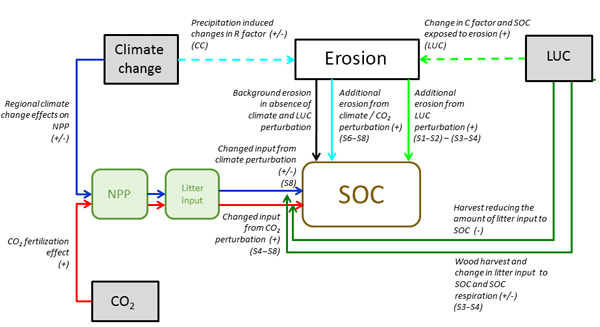 We seek to better understand the links between soil erosion by rainfall and the global carbon (C) cycle by coupling a soil erosion model to the C cycle of a land surface model. With this modeling approach we evaluate the effects of soil removal on soil C stocks in the presence of climate change and land use change. We find that accelerated soil erosion leads to a potential SOC removal flux of 74 ±18 Pg of C globally over the period AD 1850–2005, with significant impacts on the land C balance. 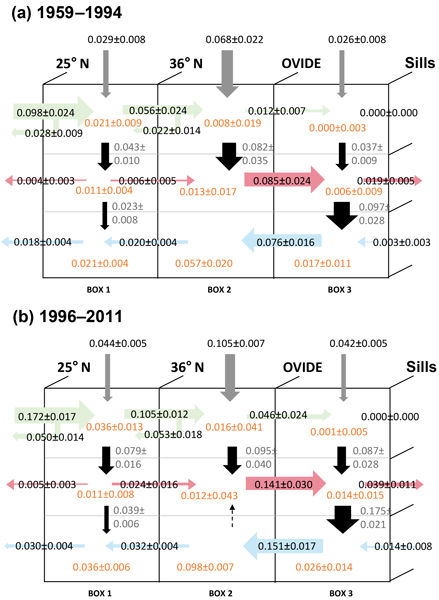 In this study, we established a long-term field experiment to assess how the soil abiotic properties, PLFAs, and enzyme activities in a Chinese fir plantation changed when the understory vegetation was removed. We found that understory vegetation plays a key role in sustaining soil carbon content, microbial biomass, and extracellular enzyme activities. We therefore proposed that, to sustain soil quality in subtropical Chinese fir plantations, understory vegetation should be maintained. 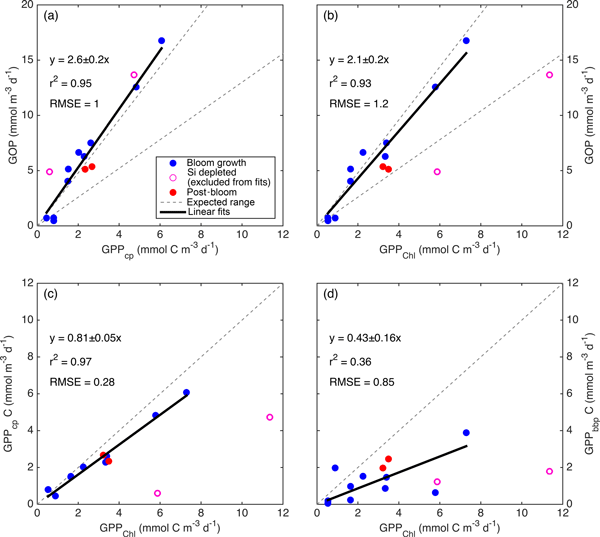 Does predictability of fluxes vary between FLUXNET sites? 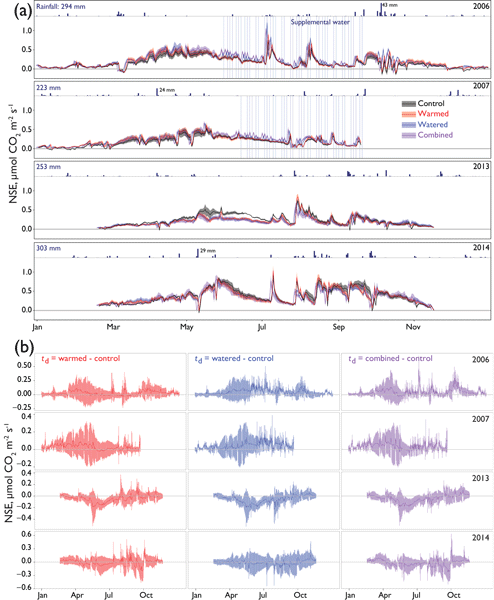 This project explores predictability in energy, water, and carbon fluxes in the free-use Tier 1 of the FLUXNET 2015 dataset using a uniqueness metric based on comparison of locally and globally trained models. While there is broad spread in predictability between sites, we found strikingly few strong patterns. 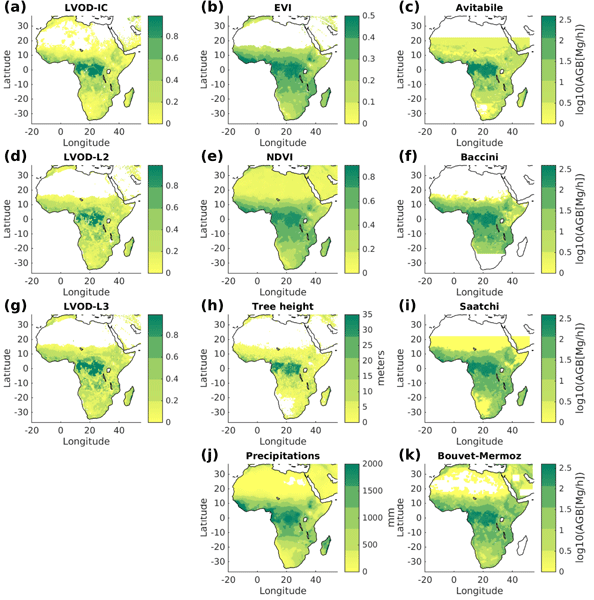 Nevertheless, these results can contribute to the standardisation of site selection for land surface model evaluation and help pinpoint regions that are ripe for further FLUXNET research. We rigorously tested emerging methods for measuring the rate of photosynthesis in the ocean using autonomous robotic platforms. We found similar accuracy to traditional, labor-intensive, ship-based measurements across a variety of ocean conditions. Photosynthesis is the basis of nearly all life, both on land and in the ocean. Our results suggest that by scaling up existing technologies, we can greatly improve global monitoring of one of life's key processes. Biocrusts are photosynthetic communities on the surface of many desert soils. We investigated the response of biocrusts and the soil beneath them (including plant roots) to 9 years of simulated warming and changing precipitation patterns. We monitored the exchange of carbon between soil and atmosphere using automated chambers. As plants and biocrusts responded negatively to the treatments, we saw reduced photosynthesis in biocrusts but variable overall carbon exchange over 9 years. Our results unraveled how soil inorganic and organic phosphorus compounds respond to edaphic variables, climatic variables, and soil weathering stages as a proxy for pedogenesis at an unprecedented geographical scale. 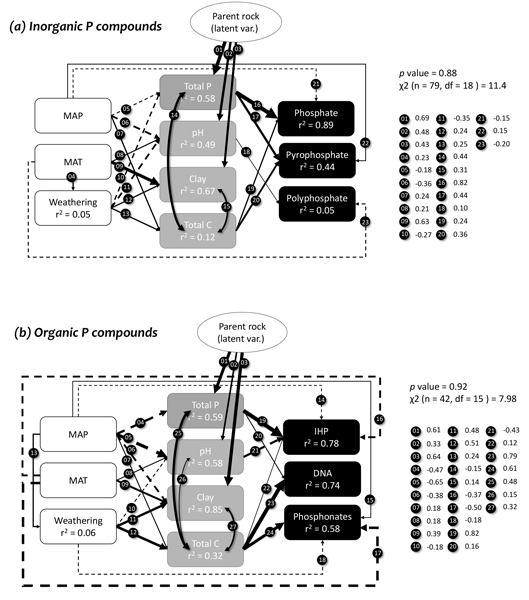 Soil P composition is determined by distinctive drivers that regulate key ecological processes governing their presence, transformation, and persistence on terrestrial natural ecosystems. 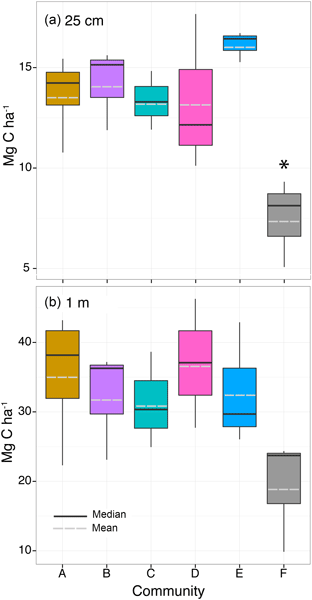 This work aimed to see if easy-to-measure characteristics of seagrass plants can be used to identify differences in sediment organic carbon (OC) storage. We found clear differences in three characteristics thought to influence sediment OC; however, these differences did not translate into different amounts of sediment OC, and sediment OC was very low. This highlights the complexity of OC cycling in seagrasses and cautions against the use of plant characteristics as a proxy for OC storage. The availability of iron in the Southern Ocean constrains the overall extent and magnitude of the phytoplankton bloom. Uncertainty remains over the dominant supply mechanisms, which are expected to be altered by climate change. Nutrient addition experiments confirm that iron limitation is seasonal in nature, with increased responses to iron addition in late summer. This is driven by variability in the supply mechanisms across the growing season, which fail to meet the phytoplankton demand. 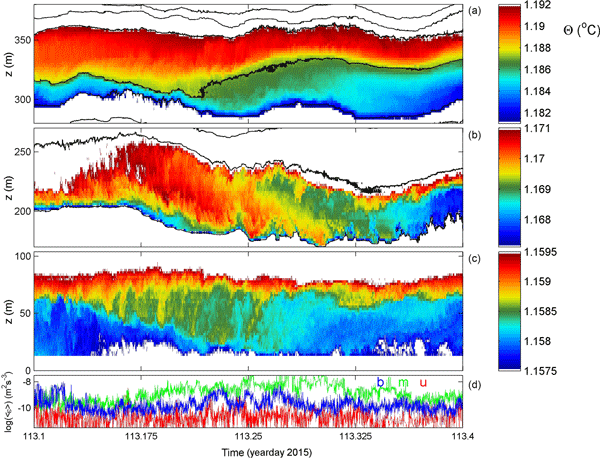 This study of a model–data comparison investigates the relationship between transport, air–sea flux and storage rate of Cant in the North Atlantic Subpolar Ocean over the past 53 years. It reveals the key role played by Central Water for storing Cant in the subtropical region and for supplying Cant into the deep ocean. The Cant transfer to the deep ocean occurred mainly north of the OVIDE section, and just a small fraction was exported to the subtropical gyre within the lower MOC.